When we look back at the figures of recent holiday season sales in the USA which people have warmly welcomed with online holiday shopping, it has become the highest US eCommerce sales in the history with record-breaking $7.9 billion revenue. The eCommerce sales exhibiting a healthy year-over-year sales growth has left the brick-and-mortar stores in awe, as the physical store shopping seems to have waned and mobile apps are taking over the online shopping game. 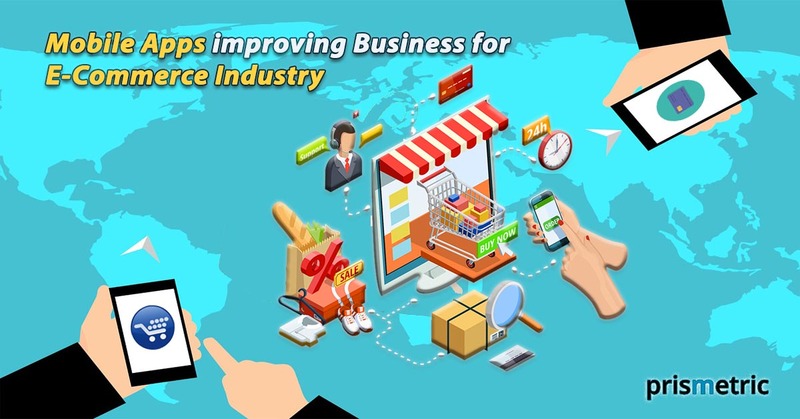 A dramatic shift is occurring in the retail industry on one end, the physical stores are struggling to survive and on the other, the mobile apps are reshaping the eCommerce industry. The user’s preference is shifting from online shopping and brick-and-mortar store shopping to mobile shopping, and by creating the mobile moments, the businesses can stay on top amidst the fierce competition. There are a lot more reasons and benefits which strengthen the argument that the mobile app is a need of the hour. Mind it, the customers are up-to-the-neck in and they hate waiting for anything. They really mean it. The mobile applications never let the customers wait as it performs faster than opposed to the website in myriad ways. firstly, with a mobile app, the need of opening the web browser, typing in the URL and then waiting for the page to load gets alleviated because it requires just a click on the app’s icon. Secondly, the apps store the data part on the device, and therefore, very less data is transmitted between the server and the application that in turn, reduces the response time. 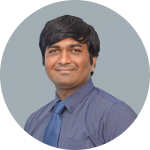 Consequently, the data can be retrieved from the server at the blink of an eye which delights the users. 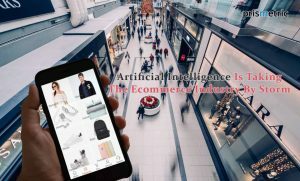 Bringing back the visitors after they left the eCommerce portal with an email is difficult, but with mobile app notifications, the business can easily connect with the users even though the user might not open the app. The in-app notifications can be either promotional or an update that can bring the users back to the app. Taking a step further, the users can be made to fall in love with the content of the notifications when they are tailored in the language they speak and understand. The custom notifications personalize communication catering to the user’s location, demographics, purchase patterns, interests, and other details, which uplift the user’s interest in the business. The mobile app means the business has less real estate to play around. Fewer buttons, apt CTAs, easy navigation, simple interactions, minimalistic design, and fantastic animations keep the app clutter-free, which leads to satisfying user experience. Also, the minimum buttons and banners lower down the distraction and enable the user to checkout quickly, which increases the conversion rate. Additionally, the mobile app allows users to customize the app’s content by describing their preferences beforehand, to get served tailored content. The intelligent recommendation tools and smart filters automatically notify the users with the relevant content after analyzing the browsing and buying behavior. The layer of personalization added through mobile app development not only crafts a wow experience but also urges them to purchase as it makes them feel valued. The visitors browsing the eCommerce store won’t necessarily come to the website to make the purchase, while they may be accessing the store to look up contact details, check products, or compare prices. With M-commerce app download, the business wins half the battle because the users make the effort of app installation only when they are interested in the brand. People usually browse their mobile apps at least 3-4 hours a day, which signals you have got the chance to engage users and enrich the user experience using the same app that has managed to get a space on user’s mobile. Plus, the app icon on the phone keeps reminding the users about the business at a subconscious level. The businesses can compel them to open the app again by sending deals related push notifications, adding a personalized touch, launching a loyalty program to encourage the retention, providing special privileges through exclusive offerings, or unprecedented customer support. The shoppers just love it, so turn them into your loyal fans with M-commerce apps. Research has proven that customers are 4 times more likely to access as much as products on mobile, only one-fifth of the cart is abandoned on mobile, and three times more users make the purchase on mobile rather than eCommerce websites. The lack of distraction, intuitive UI, and speedy checkout not just fuel up the conversion rate, but increases the volume of the average order, which eventually increases the sales and revenue. The thing not to overlook is the drastic reduction in marketing and advertising spending due to the direct communication of customers and business. The social sharing is another way to improve the social footprint without buying any premium space that increases productivity and diminishes the cost. The instant access is the topmost reason the mobile apps are most favored by the people, but it requires a constant internet connection. However, having an internet connection all the time everywhere is not feasible. That’s where making the apps work offline creates a big difference for the business that the eCommerce website cannot create. There are many online retailers that have implemented the offline feature in the mobile application in order to allow the users access some mobile app functionalities such as wish-list, notifications, FAQs, or texting to customer support in offline mode, and then go online to finish the tasks, which keeps them engage anytime, anywhere. It can’t perform the major functions like- checkout, browsing new arrivals, or viewing the latest deals, but providing access to fundamental features in offline mode can turn the bounce to sales. The success of a business dwells in the place where their customers are found. 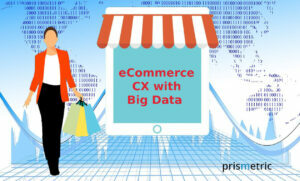 Presently, the target audience of every eCommerce store is glued to the mobile. The opportunity lies in complementing the eCommerce app development with a mobile app to sell the right products and services to the right customers at the right time. The early birds catch the worms, so take the advantage of the first move to increase the users’ outreach, improve user experience and user engagement, fuel up the user loyalty, augment the revenue, and get ahead of the competitors. From the retailer’s perspective, making a step towards the mobile future will bring the benefits in abundance. 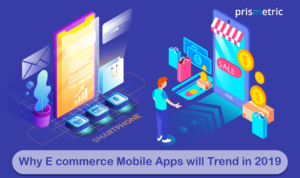 Look no further, it’s damn clear, the mobile app is the new hope for an eCommerce store that will live up to its much-created hype in the years to come.